PASIR VIEW PARK is located at 200 PASIR PANJANG ROAD in district 05 (Buona Vista, West Coast) of Singapore. PASIR VIEW PARK is a Freehold Condo development consisting of 80 units. PASIR VIEW PARK is completed / TOP in 1994 (estimated), developed by DARFERA PTE LTD (CITY DEVELOPMENTS LTD). 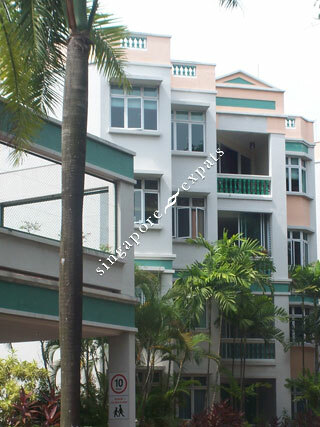 Educational institutions like ISS HIGH SCHOOL, GLOBAL INDIAN INTERNATIONAL SCHOOL (QUEENSTOWN), TANGLIN TRUST SCHOOL, BLANGAH RISE PRIMARY SCHOOL, FAIRFIELD METHODIST SCHOOL (PRIMARY) and NEW TOWN PRIMARY SCHOOL are near to PASIR VIEW PARK. PASIR VIEW PARK is accessible via nearby PASIR PANJANG, HAW PAR VILLA and KENT RIDGE MRT Stations. Close to pasir panjang MRT .Bus stop right outside condo . Close to Alexandria retail centre for shopping .Peaceful & quite .